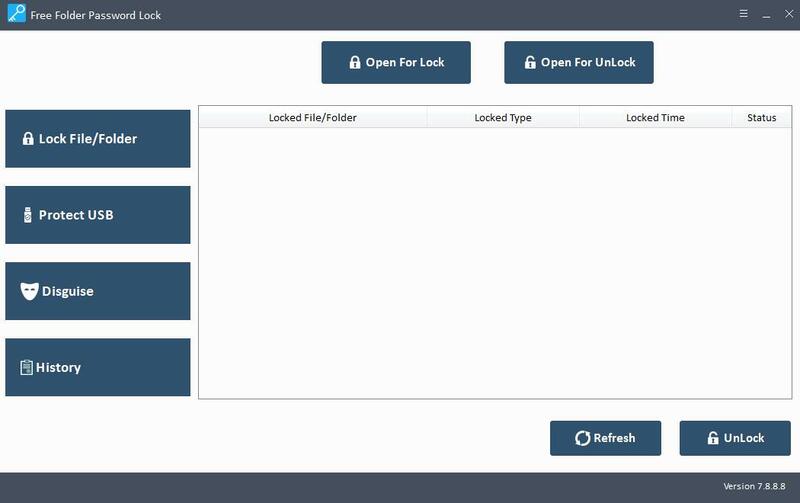 Free Folder Password Lock is data encryption software. 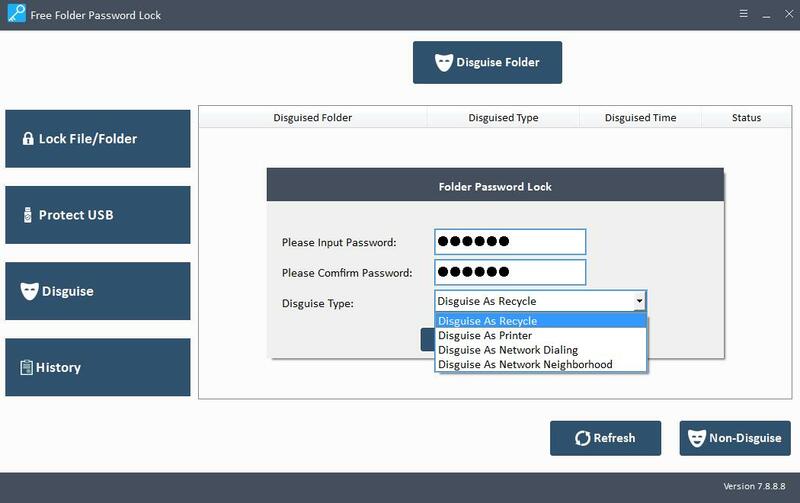 It can be used to lock, hide and disguise files like Text, Word, Excel, PPT, documents, images, videos, audio files and archive files and folders. You are allowed to encrypt files and folder on local computer and even password protect removable portable storage devices including SD Card, External Hard Drive, USB Flash Drive, Pen Drive and any other brands. 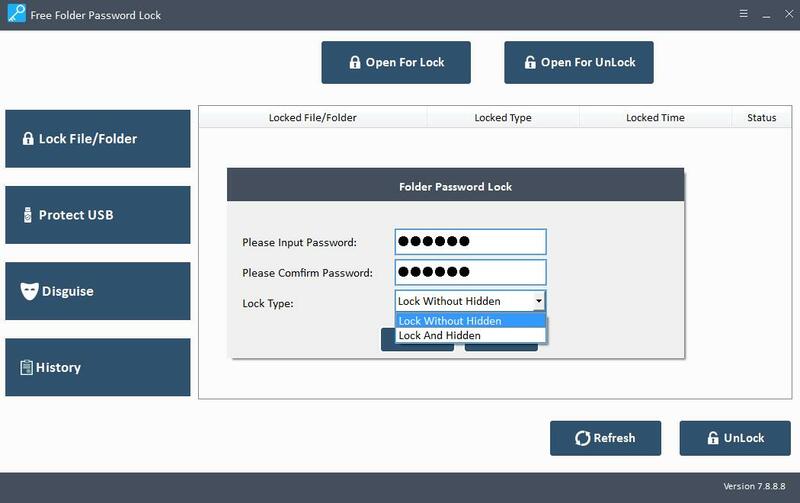 Free Folder Password Lock software is easy to use. You can make your file secured with password within seconds. Click "Lock File/Folder" and then Click "Open for Lock" button to select files, folders or drive you want to encrypt. After that, you can input password and select lock type: lock without hidden or lock and hidden. And then click "Lock" button. If you want to unlock the file, please select the file first and then click "Unlock" button to continue. 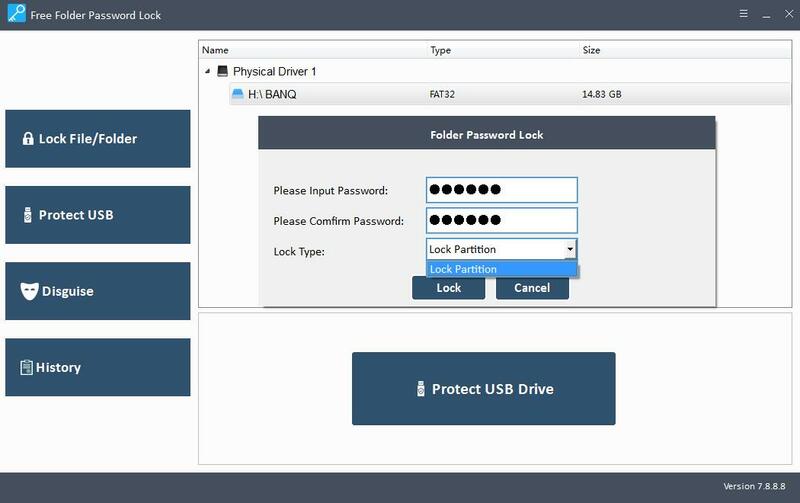 Connect your portable storage device to computer first, and then click "Protect USB" button, select files, folders or the drive to encrypt with password. Click "Disguise" and then click "Disguise Folder" button to continue. Beatrice - If you don't want anyone to access your personal files, then try Free Folder Password Lock. Daphne - A good Free Folder Password Lock tool helps me encrypt contents to secure data. Recover forgotten MS Word Password to unlock password-protected Word Docx.